This popular ‘healthy’ sandwich spot is famous for its generous portions, but mostly famous for its thick, homemade wild rice bread that most of their sandwiches are served on. Good vegan options include the “custom vegetarian” sandwich which has cukes, alfalfa sprouts, onion, lettuce, tomato and black olives with a sprinkling of sunflower seeds; tomato stuffed with wild rice salad; gazpacho; the guacamole & sprouts sandwich; and the Southwest wrap. 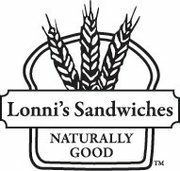 Lonni’s also has plenty of salad options; feel free to ask them to omit egg or cheese-based dressing. Sandwich/soup, sandwich/salad and soup/salad combos available. Freshly-brewed iced tea (regular, tropical or mango), water and coffee are the beverages of choice. Catering and delivery available. Open Mon-Fri 9am-3:30pm. Cafe Ten-o-One is about as close to traditional diner food as downtown St Pete might come: after all, these are the same folks who one once operated the storied H&D Cafeteria in the old Northeast Shopping Center back in the 1950s and 1960s. Of course, burgers, fried chicken, patty melts and salisbury steak are king here, but the Cafe has graciously added vegetarian offerings to its lunch and dinner menus. You’ll find a veggie wrap, veggie burger (with all fixings available), vegetarian quesadilla, and loaded potato skins (ask them to omit the bacon). Of course there is a variety of soups, salads (also ask if the taco salad can be made without taco meat) and french fries (cheese or no cheese); tater tots, and black beans and rice. Beer and wine available. Catering and lunch delivery offered. Breakfast served daily.